A budget is an approximation of revenue and expenses over a quantified future period of time; it is accumulated and re-evaluated on a periodic basis. Budgets can be prepared for an individual, a family, a group of people, a business, a government, a country, a multinational organization or just about anything else that makes and spends money. Among businesses and organizations, a budget is an internal instrument used by administration and is often not essential for reporting by external parties. Following a budget or spending plan will also keep you out of debt or aid you to work your way out of debt if you are currently in debt. Spending less than we make is usually quoted as the most important personal finance objective. It helps us to save for emergencies and stash cash away for retirement. It’s the principal practice that facilitates us to attain some level of financial freedom.Constructing a budget with a template can help you feel more in control of your finances. Individuals and families have finances, too, of course – or they should. Generating and using a budget is not just for those who need to meticulously monitor their cash flows from month to month because “money is tight”; it’s a valued tool for all demographics. Even though budgeting is a wonderful tool for managing your finances, many people still think it’s not for them. Below is a list of budget mythologies – the specious logic that halts people from keeping track of their investments and allotting money in the best way. 1. I don’t need to Budget: Having a grip on your monthly salary and expenditures allows you to make sure your hard-earned money is being put to its highest and finest purpose. For those individuals who enjoy a salary that covers all bills with money left over, it can help maximize savings and investments. 2. I’m not good at Mathematics: Thanks to budgeting/costing software, you don’t have to be; you simply have to be able to follow guidelines. 3. My job is Safe: No one’s employment is truly secure. If you work for a corporation, being laid off due to downsizing or a takeover is always a possibility. If you work for a small business, it could die with its titleholder, be bought out, or just fold. You should always be ready for a job loss by having at least three months’ worth of living expenditures in the bank. 4. And if it’s not, Unemployment Insurance will save me: Unemployment compensation is not a definite thing. Let’s assume if a bad condition at work leaves you with no choice but to resign from your job. Unless you can prove constructive discharge (that is, you were virtually forced to resign), your exit will be measured voluntary, making you ineligible for unemployment insurance. 5. I don’t want anything big: If you don’t have any main savings goals, it’s tough to tap up the motivation to stack away extra money each month. Though, your condition and your attitudes are possible to change over time. 6. I’m Debt-Free: Great for you! But it won’t pay your bills in an emergency. 7. I always get a Raise or Tax Repayment: It’s never a good notion to count on changeable sources of income. This may be the year your business may not have enough money to give you a raise or as much of an elevation as you’d hoped for, even if you’ve earned it. The same is true of bonus money. Tax refunds are more trustworthy, but this also depends in part on how good you are at computing your personal tax liability. 8. 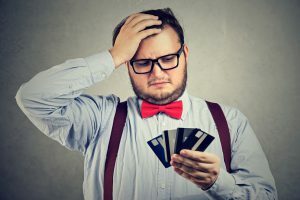 I just don’t have the right regimen: If you’re still not swayed that budgeting is for you, here’s an approach to safeguard yourself from your own spending practices. Set up an automatic transfer from your checking account to a savings account, programmed to occur right after you get paid each time. Formulating a budget doesn’t have to be difficult. A budget can secure your future financial status and lead you to financial freedom.